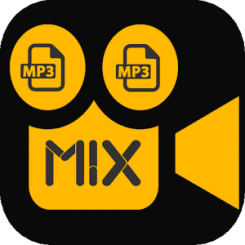 Easy Mix Audio(MP3) Video Application. Easy mixer audio video application give you full support for mix any audio to videos. 3. Share mix videos and audio to social network or friends and have fun. 4. wait for complete process. Note : Mixing video and audio we are using most famous library ffmpeg.